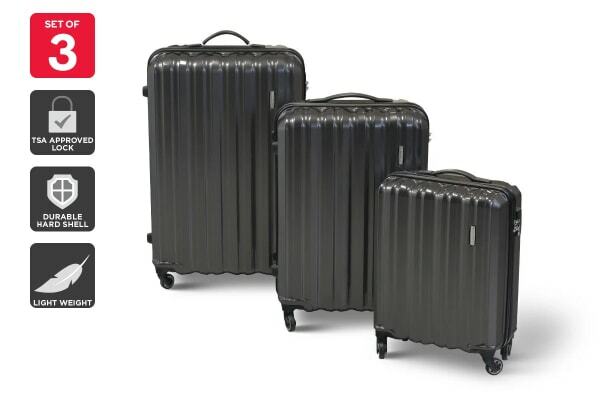 Made with premium polycarbonate materials and revolutionary 360 degree spinner wheels, this is a stylish, light and durable luggage set that rolls in any direction. The Orbis 3 Piece Premium UltraLite Spinner Luggage Set has been specially designed to make travel easier and more enjoyable. With three sizes for every type of trip, four spinner wheels to ensure you glide smoothly through airports and train stations and a durable hardside shell to protect your belongings, the Orbis 3 Piece Premium UltraLite Spinner Luggage Set will take the stress out of packing and travelling, so all you have to worry about is having fun! The Orbis 3-Piece Premium UltraLite Spinner Luggage Set is built to endure many years of travel. Each case is fitted with a hardside polycarbonate shell, a highly impact-resistant plastic that is both incredibly strong and lightweight. 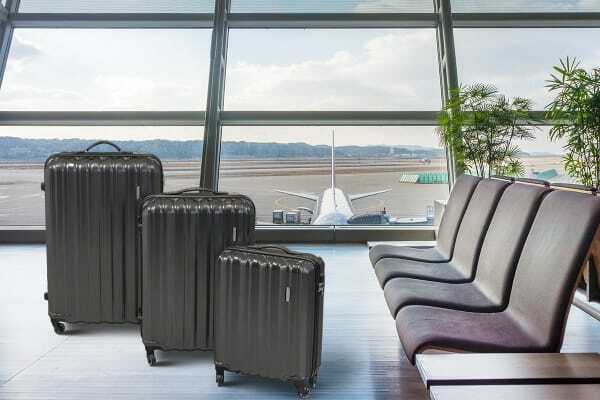 Equipped with this material, the Orbis 3-Piece Premium UltraLite Spinner Luggage Set boasts extreme durability, with the outer shell of each case resistant to cracking and tearing. Travel safely through the United States and future proof yourself against other international locations. 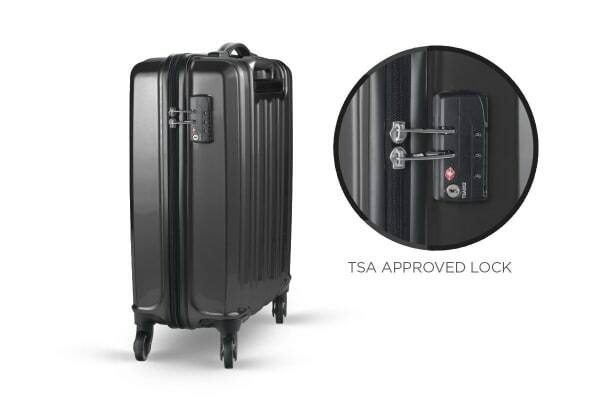 This lock is certified by the Transportation Security Administration US agency as it allows security to check your luggage without damaging your property.